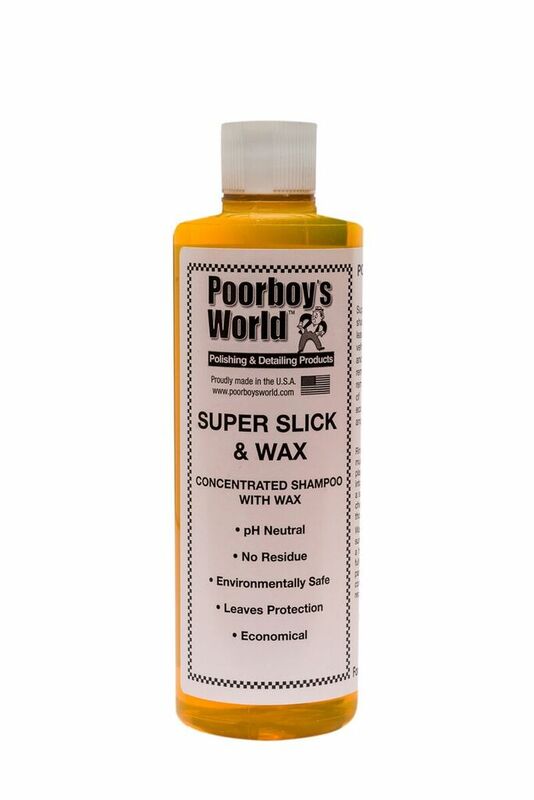 Poorboys Super Slick & Wax is a limited edition car wash with wax included. This shampoo was originally intended for colder temperatures where a small bit of protection can be added during the car wash. Super Slick & Wax can also be used in warm climates too for those who want to extend the life of their favourite liquid or paste wax products. Super Slick & Wax will gently wash the dirt and grime away with lubricants, emulsifiers, & wax with plenty of suds too. It will work well with a hand bucket wash or with a foam gun. Will not strip or degrade existing sealant or wax protection. For best results, use at a dilution rate of 320:1 which equates to 50 ml in a PB Clear Wash Bucket.